The most important part of your school website is the brilliant content that you produce. Our job is to provide you with school website software that makes it as easy as possible for you to create beautiful, engaging content. Everything we build is ‘responsive’, meaning it will work on any device. So you can manage all your content on a tablet or smartphone and take full control of editing every page and every menu. No more paying for additional pages or to update a menu. Day to day you have so much to shout about! Schools and colleges are amazing places, full of activity and wonderful stories. 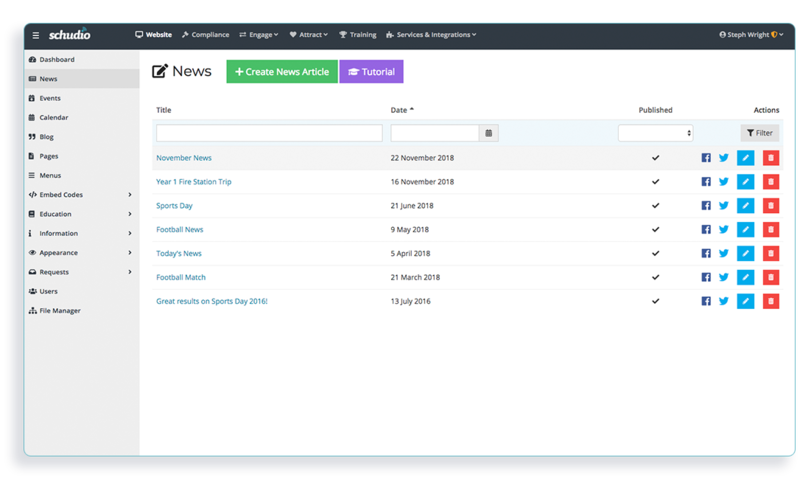 The Schudio News module makes writing and sharing your news quick and easy. 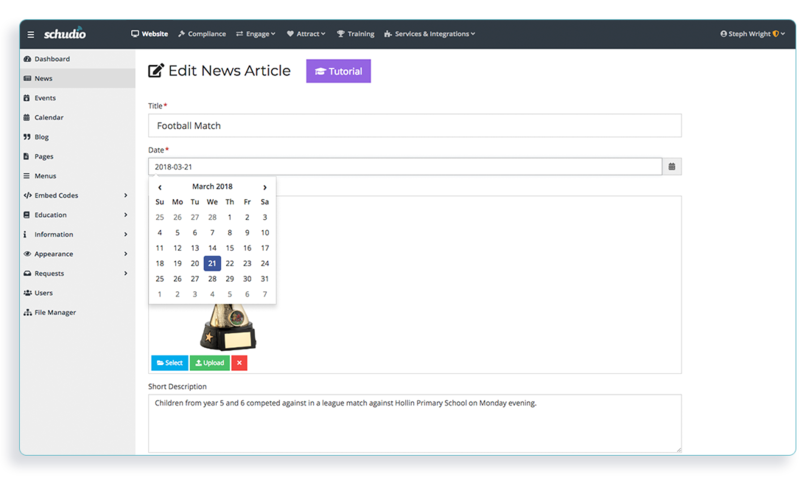 Add photo galleries, video and much more in seconds in your school website software. Then share your content socially for greater engagement. Your parents and wider community use your website so they know what’s happening and when. 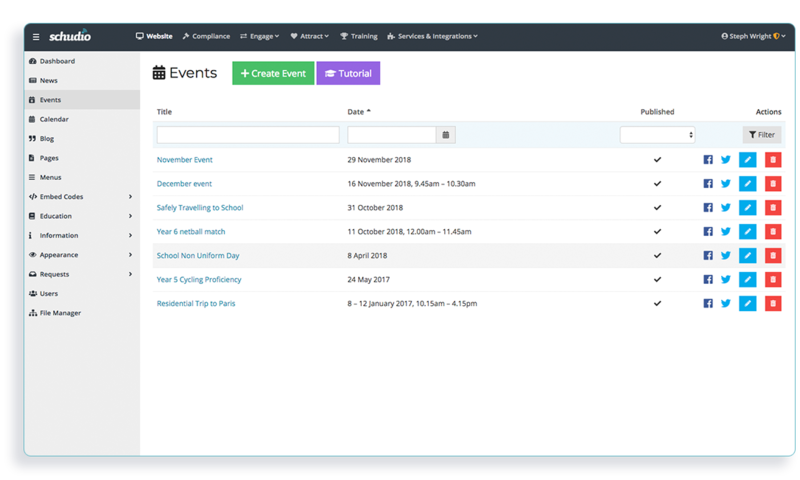 Quickly add events to your website to improve attendance and engagement. 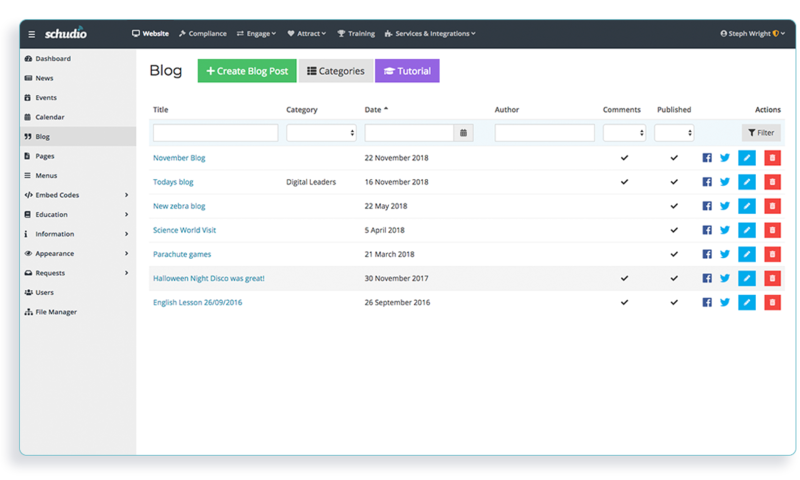 Write unlimited blogs in as many categories as you like, with no limits. Get staff and students involved, engage your community through comments (approvable of course!) and share all this socially. Students love writing blogs on tablets, taking photos and seeing their work online. Teachers can approve posts before they go live and engage parents like never before. Traditionally deathly dull but completely essential. Publishing reports and policies on through your school website software has never been easier. 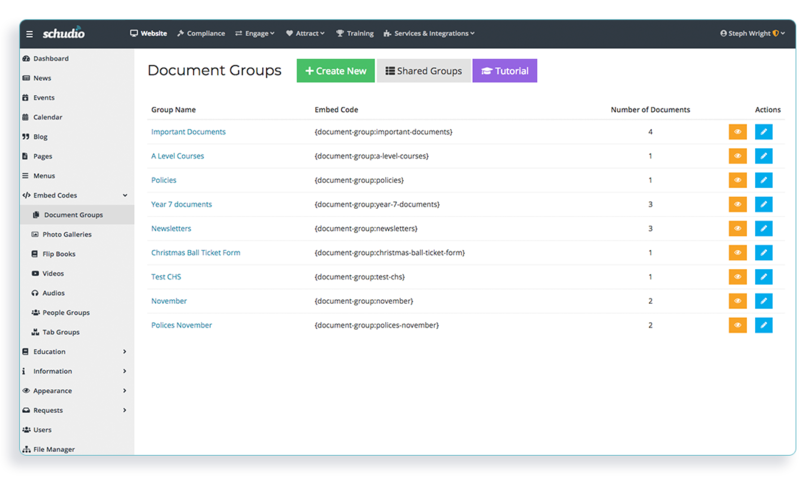 Simply create a group and upload your documents. Then add those documents to any page and our software will display them in an easy to read, responsive format. Set expiry dates and upload a new version and the file will automatically be updated across your site. Magic! How amazing are your team in school? Tell the world how amazing they are using our completely unique People Groups feature. 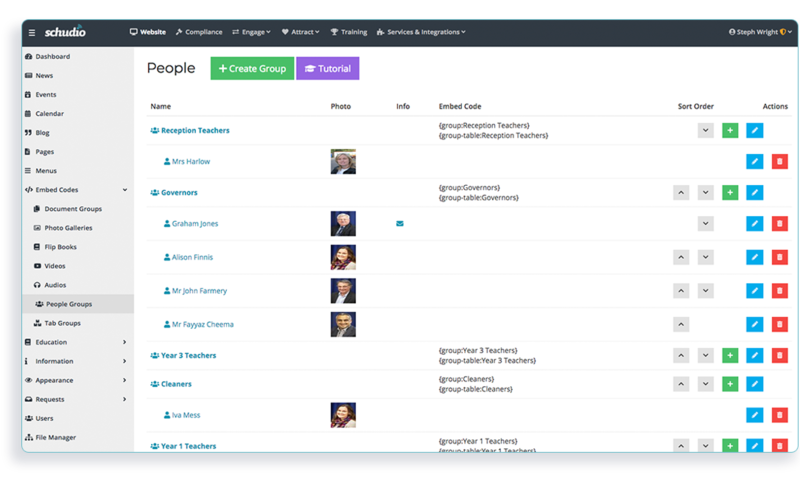 Create groups of people and drop them all around your website. 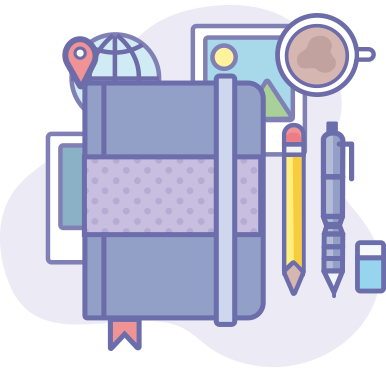 Create staff & governor pages that work on every device and capture the heart of your school. Speech browsers and enhanced browser features make it possible for everyone to read your content. 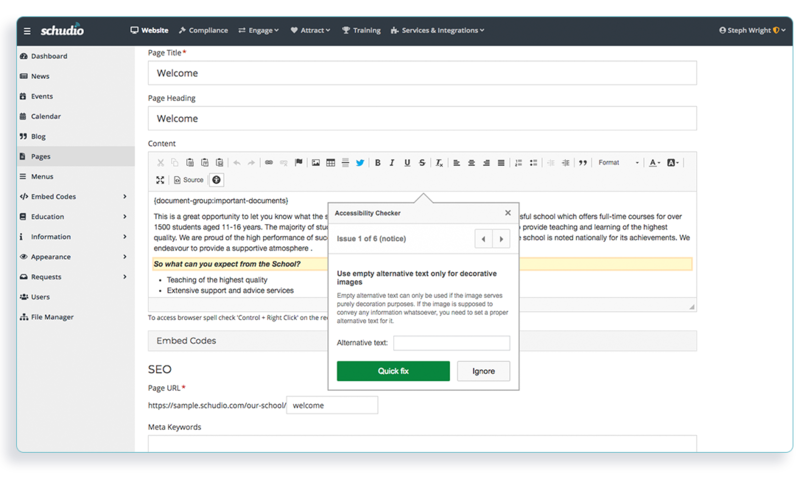 The Schudio School Website Software has built in features to check your content against the latest and strictest standards. Be inclusive of everyone. Because everyone counts. 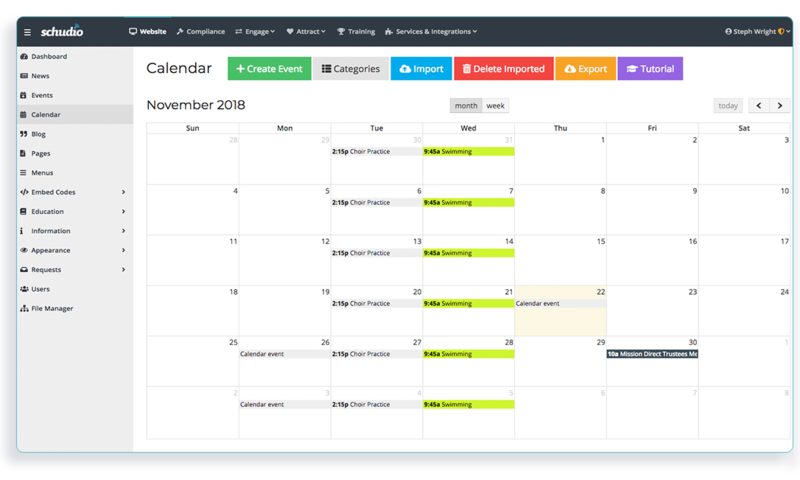 Promote all your events through our responsive calendar. Import or live feed your calendar. Parents can subscribe too! Linked to the Schudio School App parents can access information about all your events on any device and from any location in an easy to use layout. Either through your website or the Schudio App included in your package, make it incredibly easy for parents to let you know that their child won’t be in school today. 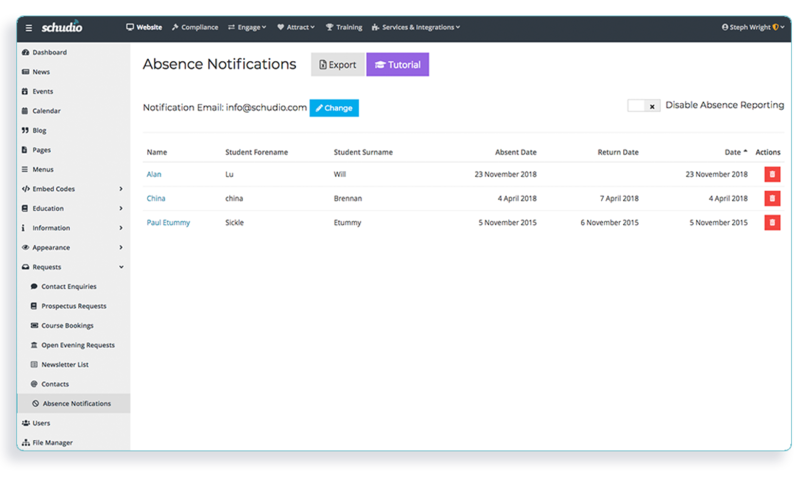 Notifications will go to the right person and will be stored securely for reference & reporting. 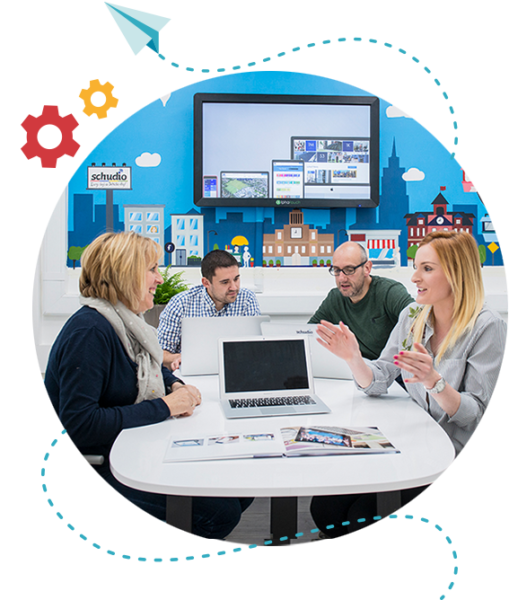 Unleash your school community and get the right people involved in your website project. 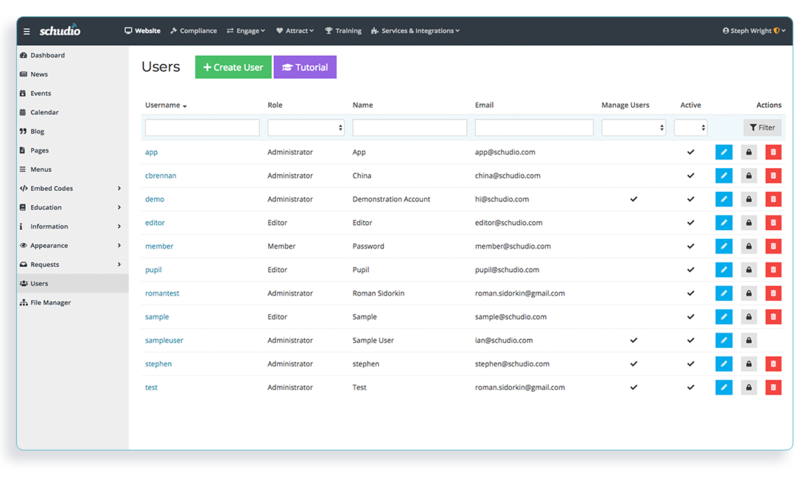 Your users will only see what you enable them to see when they log in so they won’t be overwhelmed by a huge system. Approve content before it goes live and monitor changes.